Every morning teacher Eleni gets on a small boat and sails to the small island of Telendos. By calm or by rough sea, whether in winter or in summer. 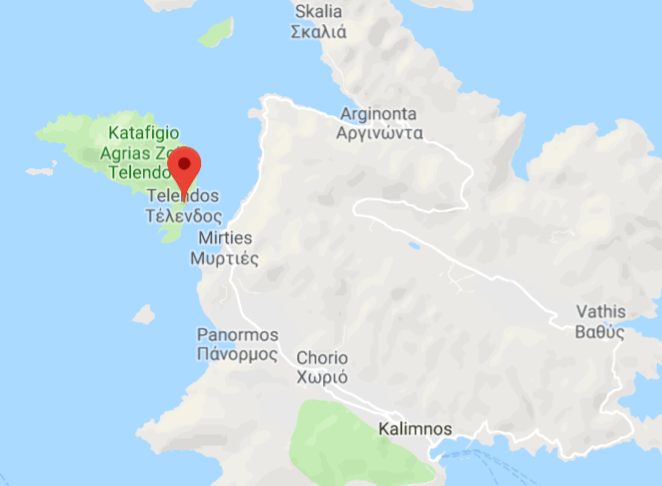 She covers a distance of less than one nautical mile between Telendos and the island of Kalymnos where she lives with her family. Once on the small island, she gets off board at the port where the children are waiting for her. They all walk together to the school. Eight children are anticipating for teacher Eleni each and every morning. The classes take place in one room at the same time. One child is in the first grade, two children in the third and five in the firth grade. 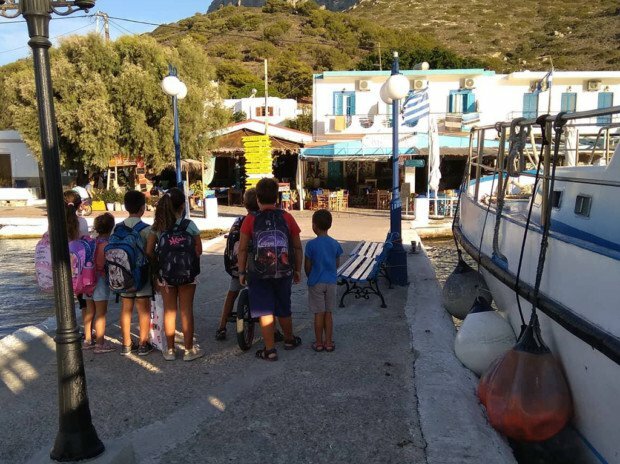 In October, when the parents of six children will close their seasonal shops and move to Kalymnos, Eleni will teach just two children of the fifth grade over the winter months. Her pupils will return after the Easter holidays, when the touristic season will start again. 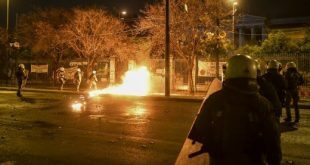 30-year-old Eleni Tanou from Thessaloniki in Northern Greece moved to Kalymnos in the Dodecanese four years ago when she married a local man. 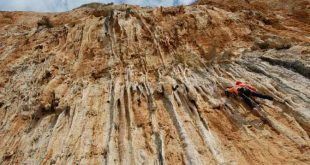 In an interview with Rhodes newspaper dimokratiki, Eleni Tanou talked about her experience and the challenges to teach in a school on one of the remote islands of Greece. Eleni has no permanent position, she is hired as substitute teacher. 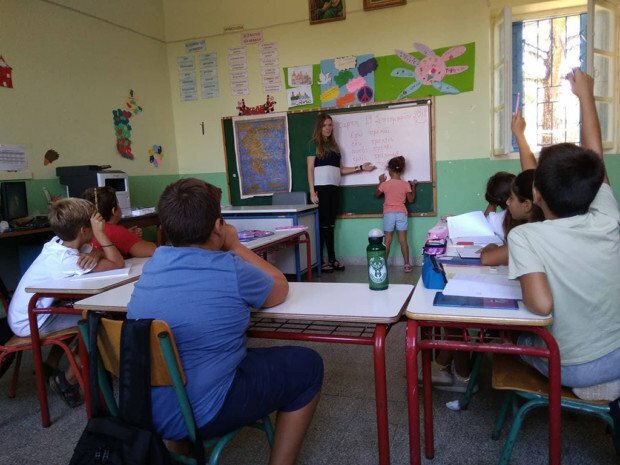 One year she had a contract for a school in Thessaloniki, next year in Athens, she taught in remote villages in Northern Greece, on the island of Leispoi and for three consecutive years in several schools in Kalymnos. “Substitute teachers are those who keep schools in remote areas alive,” she says, stressing that one assignment normally lasts for one year. At the end of the season, these teachers do not know whether the assignment will be extended or they will get one in another remote area, often far away from their families. The assignment to Telendos is her first. “Every morning on the boat, I meet also foreign visitors who are here for vacation. 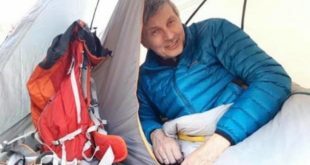 Along with them, I feel like I’m on vacation too,” she says. Excited about her teaching challenge on Telendos, Eleni believes nothing is going to keep her away not even the bad whether and the rough sea. 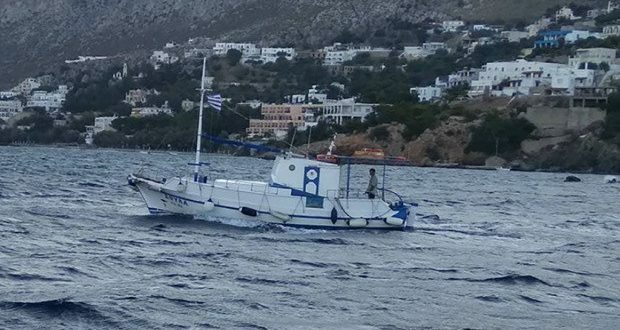 She is confident that by the end of the school year she will be able to sail from Kalymnos to Telendos on her own boat.